Reporting at New Delhi, R.K. Aashram Metro station before 16:00 and Start Overnight Journey by A/c Volvo to Manali. We leave Chandrataal after breakfast as we cross the Kunzum Pass. There is a small temple dedicated to the Goddess Kunzum Devi at the top of the pass with the prayer flags fluttering high over it. We drive to Losar , last village of the valley. . We ride beside the majestic Spiti River as we reach Kibber for our overnight stay. Kibber one of the highest permanent inhabited village in the world, situated at the elevation of 4200 m located in a semi bowl-shaped narrow valley. We resume our journey after breakfast and first reach Key. A visit to the Key Monastry will leave you spellbound. We then ride towards Mud, which is a detour from our highway. The village of mud will be one of the tiny villages you will ever experience, and also one of the most mesmerized stay you will ever experience. Its is a village not explored by many travellers. Thus the beauty.... We expereince our homestay for our night here. After breakfast, we start our ride to reach one of the most fanciable architectural fortresses. The village of Dhankar! You will want your dreamhouse here, if you have the guts to look outside your window, to see the valley directly! 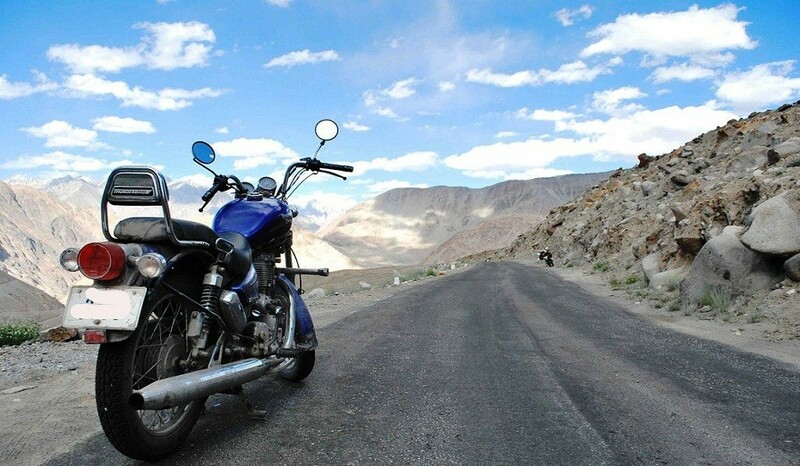 We then ride the bikes to the village of Tabo in Spiti valley. 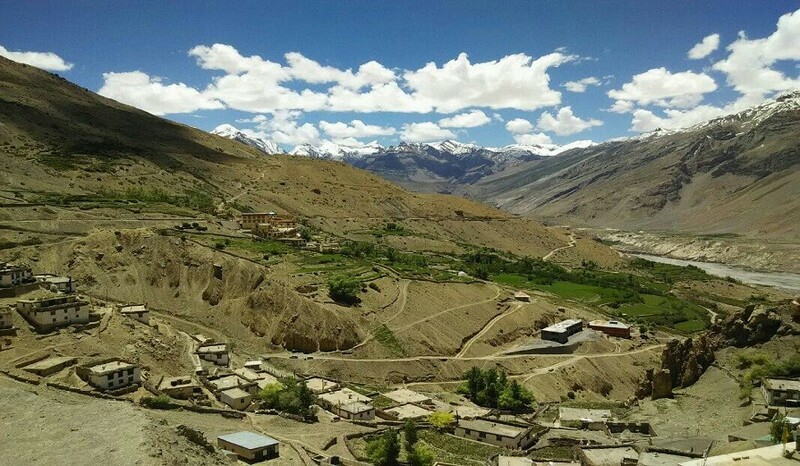 En-route, we shall later reach Sumdo which is the last village in the Kinnaur District and the entry point to the Spiti Valley. 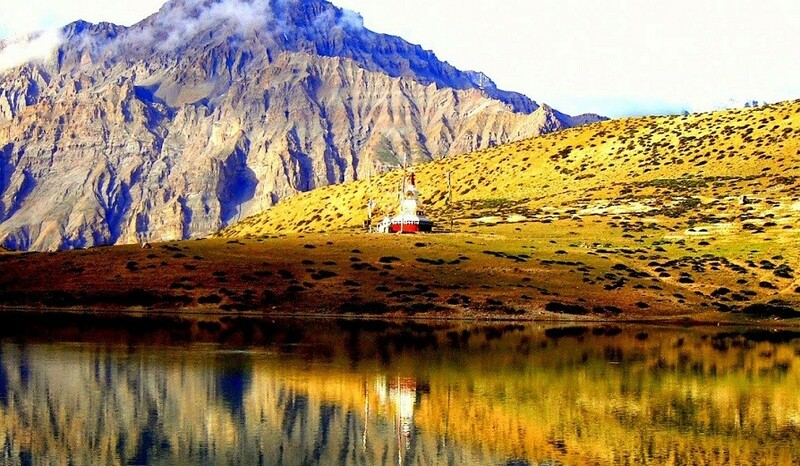 The last point of the Hindustan-Tibet road, Kaurik, is only 19 km from Sumdo. 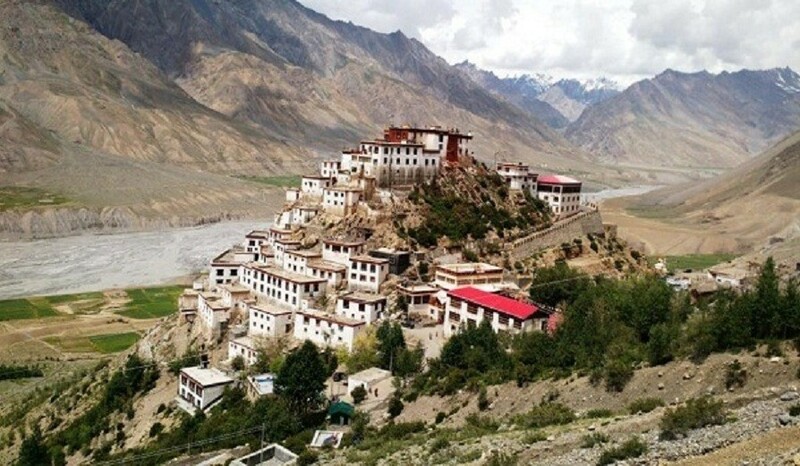 We continue till Nako for our overnight Stay, where can visit the Nako Monastry and other Buddhist Temples. Today, is your first test as a rider. It’s a long road. But the beauty on the way will keep you engrossed and you will keep wanting for more. Sometimes, you can't take your eyes off the view. So we stop, expereince the beauty, and start again. The villages we cross are Pooh, Kalpa, Tapri and Sarahan to finally reach Rampur Bhushar for our overnight stay. Now, your Second Test as a rider, but on a fairly good road. We start early today. This day is interesting, as we start from the Sutlej River, reach Tirtha River and continue upwards to the Beas River, to finally reach the banks of Parvati River. Today, just as you feel that you have come back to some civilization with noticable small villages and vehicles on the way, we again detour for the city of Kasol. Slowly gaining popularity amongst youngsters, nestled in the lap of Parvati valley, the town of Kasol is known for its Israely inhabitants. Overnight at Hotel. A short ride on our last day, you can sleep till a litte late today, unless, you want to visit the nearby village of hippie culture, Tosh. The hot springs here are worth a vist. 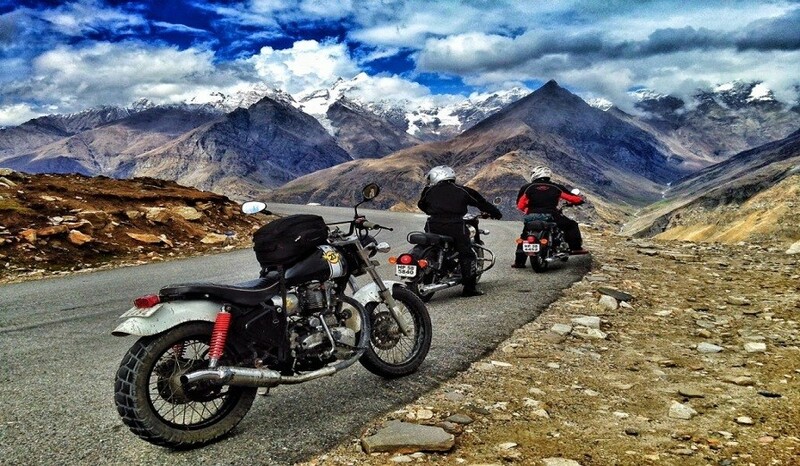 We start our ride then, back to reach Manali by lunch time. After we hand over our bikes, we'll have some time to shop for souvenirs, and then we board the evening overnight Volvo for Delhi. We should reach Delhi by approx 09:00am, and then we disperse for our return journey plans accordingly. All Meals - Breakfast, Lunch & Dinner on the 7 days of biking. Mechanic with Back up vehicle for entire route. Permissions, Entry Fees, Inner Line Permits, Wild Life Charges etc. Repairs and damage cost of the bikes. Anything not specifically mentioned in the above list.